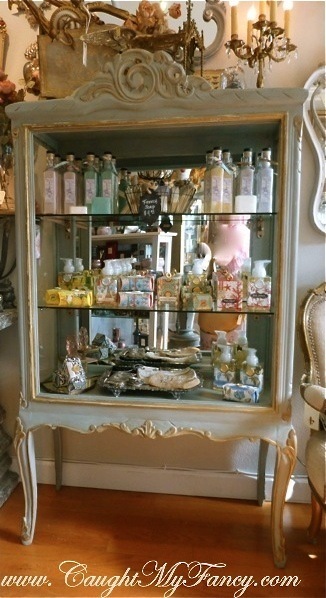 Gorgeous vintage French mirrored and glass display cabinet. Beautifully antiqued french blue with gold detailing painted finish. 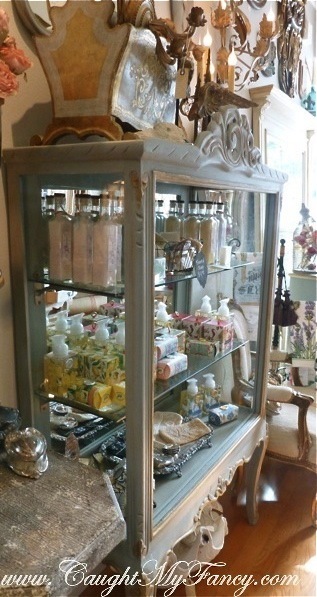 This cabinet has a mirrored back with two glass shelves, glass sides and an open front. Measures 67" tall, 37" wide and 17" deep. From our Vintage, "One of a Kind" line, so once sold it is gone for good! Please only buy this if you adore antique and vintage furniture, our items are all in good condition but because they are antiques they will shows signs of wear. If there are any serious issues we will point them out. 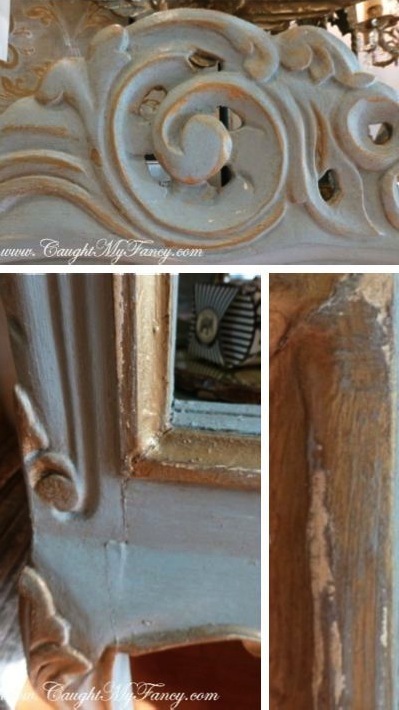 The vintage patina to the paint is considered a desirable feature! This piece has been thoroughly inspected and is in excellent condition with only normal signs of age and use.